I recently came across THIS article talking about how there is no real need to pay for professional photography and how you could save the money and invest in a free bar for all of your friends and family. The article goes on to bemoan the average price of wedding photography and then says about how people say photos taken by friends and family are classed as “excellent quality”. You can simply get all your friends and family to upload to a specific app or using a wedding hashtag. All of this could sound great and what a way to save money, except, in reality, it’s not. We live in a world where the barrier to taking good photos is easier than it ever has been. The average smart phone camera can take great quality images and a compact digital camera is capable of outstanding quality, comparable to the that of top DSLRs of a few years ago. No wedding photographer is going to argue this. We know you can get a great image in half decent light with little knowledge. However, this is not what a wedding photographer does. Apart from the group shots outside, which are set up by the wedding photographer and then guests tend to snap away over their shoulder, much a of wedding day takes place in less than ideal lighting situations. Brides typically prepare for their special day in space-limited surroundings. Add to this, that when you have a bridal party getting prepared, things are nervous and usually a little hectic. Trying to make sure that you get your bridesmaids to capture everything for you whilst they help calm your nerves and get ready themselves is impossible. A great photographer will capture all of the emotion and preparations without being obtrusive or spoiling the special atmosphere. Next you have to choose who photographs the bride walking down the aisle, One of the brides friends sat at the end of the row may get something, hopefully not including aunty Margret who is leaning out of the row in front. Churches are usually dimly lit, even on the most sunny of days, which generally means blurred photos. Unfortunately though, the couple won’t be able to capture any photos of the ceremony, as guests will generally be told to turn off their phones, whether it is a church or cvil ceremony. Maybe this isn’t a problem for you, but it might be worth thinking about. An experienced wedding photographer will position themselves to capture the beauty of a wedding ceremony, helping a couple relive the moment that they say I do. After the ceremony, there will be cameras and phones everywhere, but with no-one to set up the groups shots, they might not look quite as great as you may think. Now onto the reception. Again lighting here is generally not great, so getting good photos of things such as the speeches is always difficult. There will be the shots of friends and family busting a move on the dance floor, which are great to see everyone enjoying your day with you, but these are not generally the photos you want to show to your future grandchildren. Lastly, the bride and groom then have to rely on people uploading them, or using the right hashtag, etc. Again should you wish to print them, you might need to get in touch and ask for the full size file as many online images will not print very well. This can be a nightmare and although there may be many photos of a wedding day taken by guests, you will probably not see all of them as people forget to tag them etc., plus there will be a lot of unflattering and out of focus images that couples wish they had never been tagged in at all. 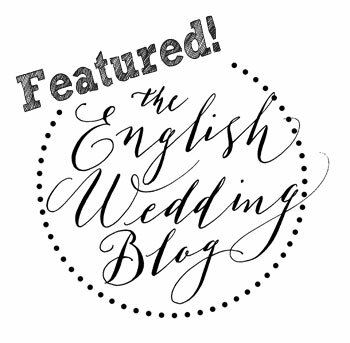 I know we are photographers so you may see us as a little biased, but this really is some of the poorest articles we have read with regards to wedding photography. When you look at the leading wedding blogs such as Rock N Roll bride, you will find some great advice about wedding photography. I know wedding photography prices can seem expensive, but the equipment wedding photographers use is not cheap, we have multiple backups in case something breaks and most importantly of all we have experience to capture your wedding day beautifully for you. There are several stories of couples who booked a bargain wedding photographer, unfortunately, these stories have a habit of ending badly. The real question is what do you want to look back on in years to come? The free bar you put on for all your friends along with blurred snapshots, or a beautiful wedding album of your partner and yourself at the start of your journey of married life together?